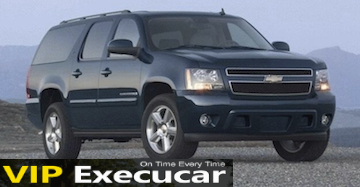 Vip ExecuCar Limos of Miami - Best Cheap Limo Service & Limousine Rentals in South Miami, Florida. Limo Service: Miami Airport Limo . Limousine & Car service on Vip ExecuCar is affordable, contact us. Ready to book your car?. We provide hight quality Prom/Birthday/Anniversary/special party/bachelor(ette) party limo/Limo Transfers, whether you are individual, corporate travel or large organization. Enjoy our new lowest Airport Limo Rental Rates in Aventura,South Miami (MIA) Florida,Fort Lauderdale Intl Airport (FLL), Palm Beach Int Airport (PBI) and Palm Beach Gradens Florida. Do you have any questions? We can provide Luxury Suv Limos, Lincoln Town car, Executive Cars, Town Car Limo,Vans Rental Limos, Hummer Limo, Mercedes Benz Limousine, Sprinter Limo, Limobuses, Minibuses, Charter Buses, Motorcoach, Party Buses to anywhere anytime in South Florida. I am offering private ride anywhere between Jacksonville FL (Boca Raton),Miami Beach to Aventura, Orlando (Miami) and long distance NewYork (Boca Raton) and more towns. Medical Transporportation Services NON MEDICAL TRANSPORTATION. Concierge Limousine :At Concierge Limousine located at Miami, Fl 33180. Search for other Airport Charter Transportation in Fort Lauderdale or Miami FL. Premiun SUV & Executive Limousine airport rental in Miami: Find the best luxury SUV deals and affordable suburban limo airport rental Kendall, Fort Lauderdale, Orlando, Port Canaveral, West Palm Beach,Coral Gables, South Miami, Sunny Isles Beach in Fort Lauderdale, FL, get cheap SUV rental, hire the best SUV/Suburban limo 8 passenger in Dade, Broward and Palm Beach. Vip Execucar Limousine is now renting airport limousine service in Key Biscayne, Homestead,Cutler Ridge and South Miami FL. Call now for hourly Limo Service and party buses in Pinecrest, Surfside, Coco Plum , City of Broward FT, Naples Florida for your special occasion. The luxury sedan is offered as part of our car service fleet in Miami Beach, South Beach and Dade County. This extraordinary automobile is the ultimate in luxury. Miami Black Car Sedan Service, offering Wedding, Birthday, Casinos, Concert, and Special Occasion Limo service. The Lincoln limousine sedan also comes equipped with a control panel located on the rear arm rest to adjust the temperature inside the vehicle, radio volume and stations at the touch of the button. It is also equipped with dark tinted rear glass for privacy. So sit back and enjoy the ride! 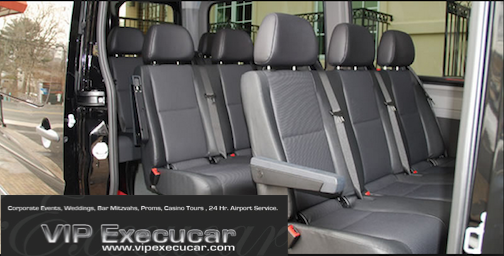 Vip Execucar Limo of Miami service provides a variety of different vehicles for hire in Coral Gables. Reserve a Luxury limousine and celebrate with your friends and family. We are available in Cutler Ridge and Coral Gables 24/7/365 to provide you with solutions for your private executive transportation services. Looking for an unbeatable price for a Black Lincoln Towncar rental in Coral Gables? Coral Gables luxury chauffeured transportation specialize in corporate accounts and private airpor limo that offers fixed, low prices for popular Executive Lincoln sedan between airports. 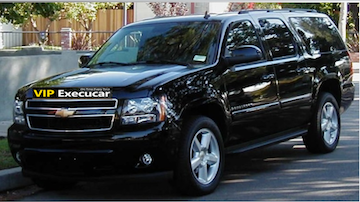 Get anywhere you need to be with low rates in our own Luxury fleet of Black TownCar and SUV's. Rent a Limo in Miami City : Miami Limousine service offers 24 hours, 7 days Miami Limo service and Car Service for Miami "MIA" and all FLL Towns & Airports. If just came from the airport of Fort Lauderdale FLL, Miami MIA, West Palm Beach PBI, Naples or Key West; VIP EXECUCAR chauffeur service wait for you at the airport baggage claim or by American Airlines baggages and displaying your name 10 minutes before the planes arrived. Executive & Luxury Transportation, Shuttle to Airport . Enjoy our new lowest Airport Shuttle Rates in Miami,FL; Miami's most reliable and economical limousine service for excutive town car, Luxury Sedan, Stretch limos, SUV Limos and super estretch limousines. With over 20 years in the chauffeured services and transportation services all over the USA is uniquely qualified to deliver the highest level of quality chauffeured services you will find anywhere. Miami car service & Executive Car sedan offers limousine services that will greatly exceed your expectations. 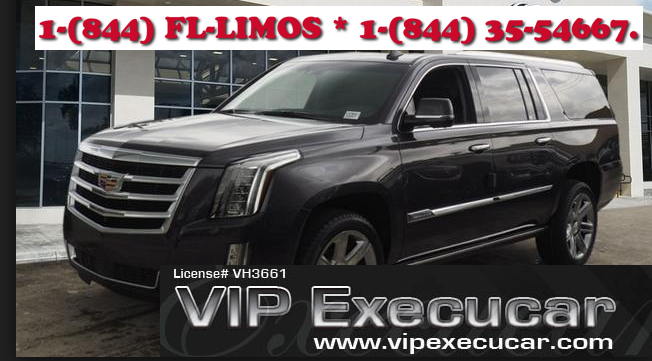 We have many late new model 2013 SUV (Suburban, Escalate and Navigator) Luxury Lincoln Town Cars , Mercedes Benz and Stretch Limousines which are Clean and very well maintained.Town Car Service & Sedan service is affordable by Vip Execucar whether you need Aventura car service, in a hurry to the airport,visiting a family member out of town, late for a meeting, call Vip-Execucar Aventuta Limo for all your car service. List of 6 Best Town Car and Limo Rental Services in Miami. Why not make it a Chauffeured Luxury rent car Miami for you next trip? Vip-Execucar offers world class premiun Town Cars and limos Service in Miami Beach,Palm Beach, Palm Bay and Weston. Save up to 10% on Lantana Limo, Limousine Service, Limo Rental, Airport Service, Town Car,Sedan Transfer to/from MIA airport when you call us to book your wedding limo, airport transfers or any ground transportation between PBI International Airport and Miami International airport. Miami International Airport Transfers to Aventura (Miami). We provide you with the top Miami Airport transfer and car service for DADE-MIAMI, BROWARD-FORT LAUDERDALE AND PALM BEACH COUNTY more cities . See Miami Beach in style in our gorgeous new town car sedan or the new stretch limousine. You can count on us for you Vero Beach Limousine service, Deerfield Beach Limo, Margate Wedding Limo or for any limousine event. 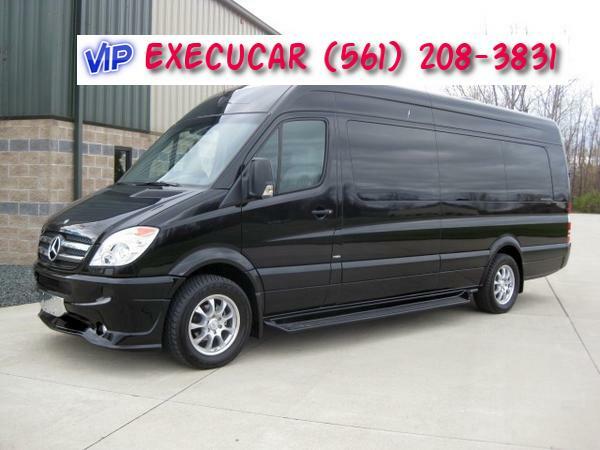 The owner of VIP-Execucar Aventura Limousine has been in the Luxury Transportation Business since 1994. He has long standing history for providing superior customer service and timely arrival Miami Airport. Vip-Execucar Car service also caters to special events such as Business Meetings, Road Shows, Weddings, Airport,Transfers from point A to point B, Out of Town / long distance trips /to Canada, and much more! Miami Beach Limo Car Service. Miami Beach Limo and Car Service: Vip Execucar Executive car service Provides Airport, Chauffeured Lincoln town car Service, Miami Beach Weddings, South Miami Proms, Bachelor and other Limousine services at very low rates. At VipExecucar Limos, we believe in providing professional limo driver and South Florida limo service at the best prices available, for the quality of service that you will receive. Our late model vehicles are some of the hottest limos in South Miami. Looking for a hourly limo services for special occasiones in the Sunchine State Florida" Miami area, Fort Lauderdale, West Palm Beach Florida? Miami Limo service airport provides limousine service, car service, and other ground transportation services in Miami, FL. Call 561-208-3831 to book Miami limo service.Book your Miami's area transportation with a reputable leader in limousine service. Miami Chauffeur will get you there on time and in comfort. Welcome to Limos of Miami! We are happy for your visit. Limos of Miami is one of the top limousine companies in South Florida. With a diverse fleet we offer the following to our valued customers, 2013 SUV Suburban, Town car service, Rolls Royce rental, executive transport, mini van service, mini bus service, party buses and coach buses. These Miami limo services are available to serve all of our South Florida customers 24/7 365 days. We can even customize a private Miami Limo tour in a beautiful stretch limousine, Luxury SUV or classic Miami Rolls Royce, we can accommodate all of your business or personal transportation needs. Whether you require a transfer to one of the regional airports, or a comprehensive package for a corporate event, you can rely on us to develop and deliver a quality solution that will surpass all of your expectations. We pride ourselves on the details, and each and every client receives the same level of dedication and service that we strive to maintain. We are the exclusive transportation company for many exclusive resorts, hotels and companies in South Florida. From major events such as Super Bowl or the MTV Music Awards to a family on the way to the airport for a vacation, each reservation is as important to us as it is to you. 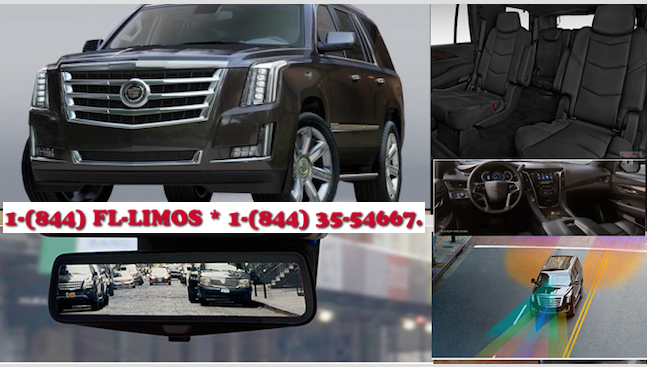 Limousine Services: Fisher Island, Fl Limousine & Car Service. Fisher Island Fl Limousine and car service (561)208-3831 call to compare prices for Singer Island party bus rentals, Star Island Miami Beach limousine, car service in Miami & more. Book on line and save for Miami Limo, Fort Lauderdale limousine and West Palm Beach sedan servIce. VipExecucar, LLC is a registered trademark of VipExecucar,LLC. All other brands are the trademarks of their respective owners.